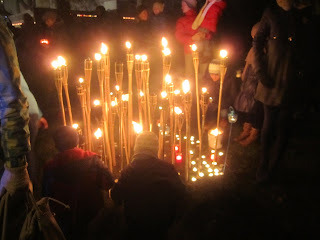 Last Sunday we celebrated the Independence Day in Latvia. In the Sunday Morning Service in Riga First Corps we were gathered around the Latvian map. We were praying for Latvia. 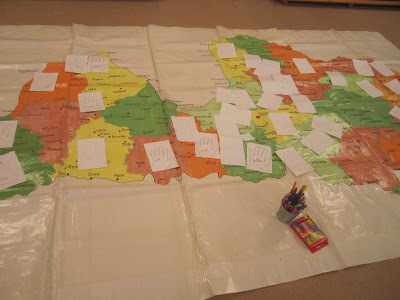 We could all draw our hand on a paper ang put our "hands" on the map in prayer. In the end of the meeting we sang the Latvian National Hymn "God Bless Latvia" and after that we had a fellowship dinner. During the week we have had a visit from a group from "Humanitarian Aid" in Västerås, Sweden. They are running a EU-project named "Equip" with the purpose to help people into the Labour Market. The group, with their leader Arne Nordberg, also brought a truck of clothes and things which they unloaded in our Central Storage in Riga. During the week the group visited the Headquarters, to get information about The Salvation Army in Riga, our Soup Kitchen in Iecava, the wednesday evening meeting in Riga Second Corps and the Social Center in Riga. 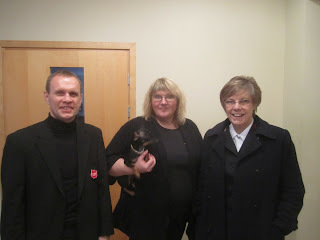 Here you can see Arne, together with Rut and Peter, after the morning devotion at Headquarters. During the week we have also been working with preparations for the different Christmas activities. Christmas dinner for all our staff in Latvia, preparations for the Christmas Kettle activities and much more. By the way, this week our oldest son turned 42 years old. It is unbelievable that we, being that young, can have that old children. It was on the first day of the Conference, 2 April, 2001 that Helen spoke to us, with translation, about officership." "Recently the General has asked us all to complete a questionnaire about officership. One of the questions, to my deep surprise, asked us if we thought the sacred Officer’s Covenant should continue to be for live or only for a fixed and variable period of years! I am convinced that before we accept a person into the training college we should be looking for their clear and deep understanding that the commitment is life-long. I cannot find models in Scripture for a temporary calling. You must search the Bible for yourselves. I am looking at the candidates to see if they will give their lives, not just a few years when it is convenient. It is God who calls us to be officers, and only God can release us. Are we called into a particular denomination? Experience tells us that the answer is ‘yes’. It is God who leads us into the Army. We dare not take such a step unless we are sure it is his will. Why do we place so much emphasis on commitment? The reason is found in the need for good order within the Body of Christ. The Pastoral Epistles (Timothy and Titus) show us that credibility, personal testing of our faith, and the affirmation of a congregation are needed. We expect loyalty. The Army tests all this, gently but firmly, through the Candidate’s Application process. We ask for endorsements from the local corps and the local community. Modern officers need many skills, good awareness of society, and ever deeper and deeper wisdom. That is why training is necessary. We do not just pluck you from the community and give you sacred roles unprepared. We need candidates who will become known, respected and trusted as godly leaders. Credibility and a pattern of reliability will open doors to wider service. I think of the need for us to be in chaplaincy roles in prisons and in hospitals. Also in school and colleges. We dare not send an untrained or unproven person into such settings. God has greatly blessed it. He has also greatly blessed the service of unmarried officers. Our regulations about married couples in officership have resulted in the positive development of married women. This is true of our women in Pakistan. We are proud of them. They have been developed beyond the dreams of many other churches, and far higher than normal cultural expectations. At present the territory has 83 applications for the 40 places in the next session of cadets. I think of the villages where our future officers will serve. They will meet deep respect. They will also meet deep need among the people who must be cared for and led. Let us give thanks today that God still calls people like you and me into humble and sacred service. He is a gracious God. We praise him!" The Salvation Army will participate in the Swiss election for the Eurovision Song Contest 2013. The song “You and me” found its way to the hearts of the internet voters and the jury. Therefore, Katharina, Sarah, Emil, Michel, Christoph and Jonas will be among the nine bands fighting for the Swiss ticket. Keep the evening of December 15 free to watch the show! 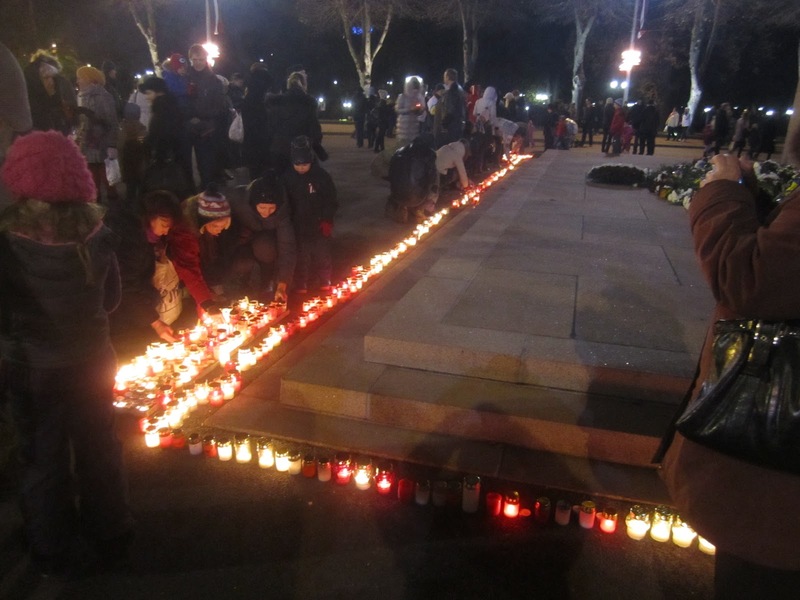 This week has been a special week in Latvia. It is the week between two special Sundays. Last Sunday, November 11, we celebrated the "Lacplesa Day", remembering the people who died during the Latvian war of Indepence. And this Sunday we celebrate the Latvian Independence Day. 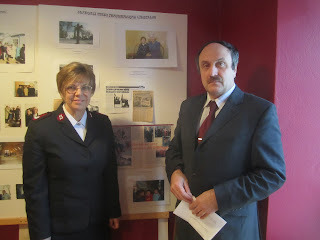 This week we also have introduced our successor, Major Christine Bailey, to the Salvation Army work in Latvia. We have been travelling around to visit some of our operations. The first coffee for the day was served in the Library in Liepa. This is also the place for the Salvation Army Sunday meetings in Liepa. Janis and Inga are the corps leaders of Liepa Corps. Friday evening Christine went back to the UK. She will come back "for real" in January. At that time we have moved back to Sweden. Today we will have a special day at our corps, Riga 1, due to the celebration of the Independence Day. After the meeting there will be lunch at the corps. And then, a new week. 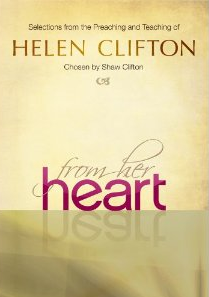 Chosen by her husband, General Shaw Clifton (Retired), this compilation represents writings from almost every phase of Commissioner Helen Clifton's influential service as a Salvation Army officer - including testimonies, personal insights from her prayer journals, and material from her time as World President of Women's Ministries. It is good to think theologically about officership. There is room for personal views about each of our callings. However, we do need to have agreed theological insights about this sacred vocation in order to teach others and to train the cadets properly. It becomes important also when we sit down in the boardroom as a Territorial Candidates’ Council. That is when we carry out the sacred task of selecting, deferring or rejecting. We seek humbly to test the strength of each person’s calling. To do this we need to have a clear standard to use as a measure. We can start by looking at the Officer’s Covenant. This is a formal statement of a theological nature. It needs to be identical all over the Army world. It must state the deep things of the Spirit that bind us together in sacred service. We are called: to preach and to serve; to love God supremely; to make the salvation of the lost the highest ambition of our lives; to live for souls. Where does all this come from? It comes from the long and deep traditions found in the Bible. It comes from God’s planning for us, from even before we are born (like Jeremiah, Isaiah, and Paul). It can become a reality for us when we are still in childhood (like Samuel, and like my husband). Or when we are in the middle of a well-paid career (like Matthew). It can come to a man (Romans 16 names eighteen of them). It can come to a woman (Romans 16 mentions nine, remarkable for that ancient culture!). Note too that God’s call can come to married couples together (Priscilla and Aquila). The call can be delivered to a person by name (Saul). Or it can reach us through a wider cry from God (Isaiah heard, ‘Whom shall I send and who will go for us?’). Also it can be made through the consensus of the leaders of the congregation (as for Stephen or Barnabas). It is a powerful calling. It can keep a person faithful even unto death (like Stephen). It can impact someone who witnesses the fidelity of another who is called (like Saul who watched Stephen die). The call might tell you that you are to be a prophet (Amos), or a priest (Zechariah), or a pastor (Timothy). That same divine voice can tell you to leave your nets, your secular work (James and John). Another Sunday morning. 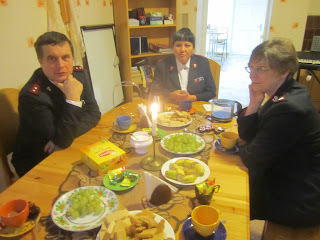 The coming week we will be visited by our successor as leader for the Salvation Army in Latvia. This will be her first vissit to Latvia, and I start to realize that our Sunday mornings in Riga will soon come to an end. From the 1st of January Christine Bailey will be the Regional Commander and we pray for every blessing on her life and ministry in Latvia. Last Sunday we visited Borås in Sweden. 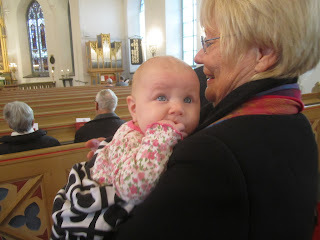 The reason for the visit was the baptism of our newest granddaughgter in the lutheran church in the village of Kinna in the southern part of Sweden. That was the second time we met young Maja Baronowsky. The first time was in July this year when Maja was one day old in their family residence at Jelöy Folk High School in Norway. Maja did very well in the church. 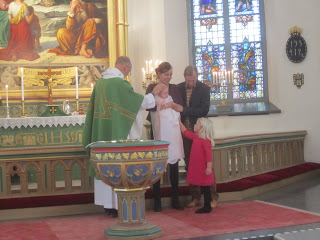 When the priest held his speach he spoke about the children baptism as a reservation for a place in heaven. I do not feel comfortable with explaining the baptism that way. I think there are reasons to believe that your life and your life choices counts when it comes to where you are going to spend eternity. I also think that there are reasons to believe that whoever qualifies for a place in heaven is not depending on who your parents are and if they took you to a baptism ceremony or not. Finally I think there are reasons to believe that if you choose not to live your life together with Jesus here on earth, why should you be forced to spend an eternity with him? But, in the end of the day, it is of course not me deciding who will spend the eternity in heaven and who is not, and the service in the church had many good parts. For example the promise from the parents to pray for their child and to guide it as good as possible through life. May God bless Maja and all other children who are just about to start their exciting journey through life. During the week we have also had a number of meetings in Stockholm. Among other meetings we have met the board for the Baltic Children Foundation and the Salvation Army Latvian Council. During our visit to Stockholm Rut and me went for lunch in a shopping center. I went to the cashier to order our lunch and after I had paid the man turned around and shouted "Two pastas for the elderly man over here." I turned around to see if I could see any elderly men around me, but finally I understood that he was speaking about me. I must be much older on the outside than on the inside of me. Another exciting event this week. Rut´s daily devotional book "Simple Musings for Simple Living" has been sent for printing. Sven Ljungholm has for a longer period daily translated the devotions and we have published them on the English pages of rupeba.se. Our son Stefan, has finalized the manuscript and sent it for printing. We hope to have the book ready in good time before Christmas. Ten percent of the income for each book will go to the Salvation Army work in Latvia. Next year we plan to publish the book also in Norwegian. Marianne Spor, one of our former students at Jelöy Folk High School, has translated the book into Norwegian. Friday evening the Becketts took us out for dinner to celebrate a birthday. In the resaurant in the old town of Riga I heard that the company next table spoke Norwegian in a special dialect which I could recognize. I turned around to the company and said: "We do not often hear that good Norwegian spoken in Riga these days. Are you from Kristiansund?" My guess was right. They came from Kristiansund. And when we told them that we belonged to The Salvation Army, one of the three ladies commented that the new corps leaders in that town were very nice people. We could confirm that, since we were in Kristiansund the other weekend for a Bible Retreat and then we met the corps leaders, Bodil and Helge. Soon we found out that they all three knew one of our former students at Jelöy Folk High School, "Lille". Her real name is Jeanette and she is a soldier at the corps. One of the ladies told us that she used to go the the baby-song-meetings at the Salvation Army conducted by Lille. We asked them to forward our greetings to Bodil, Helge and Lille when they are coming back to Kristiansund. 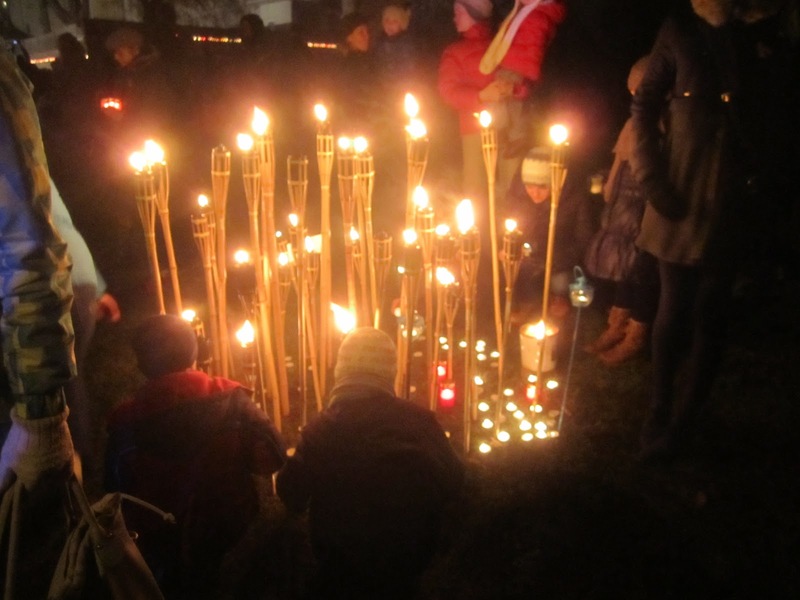 You can read about our visit in Kristinasund HERE. By the way, during our visit to Kristiansund, Lille told us that her eighteen year old daughter planned to go to Jelöy Folk High School next summer. The same school that Lille herself went to 1988. When she comes to Jelöy she will meet our son Daniel who is a teacher at the school. The same school where Rut and I were teachers 25 years ago. Daniel was eleven years old when Lille went to that school. In Sweden we sing a song saying "Generations follow generations" and that should be a suitable quote for this paragraph. 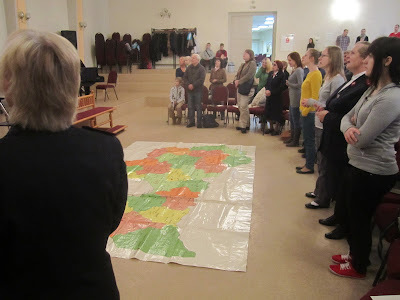 Yesterday, Saturday, we had a regional gathering for Women´s ministries in Riga. 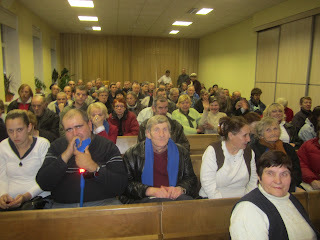 More than 80 people from all over Latvia attended the meetings. Now it is Sunday morning and soon time to go down the stairs to the Sunday meeting in Riga first corps. And then, a new week. 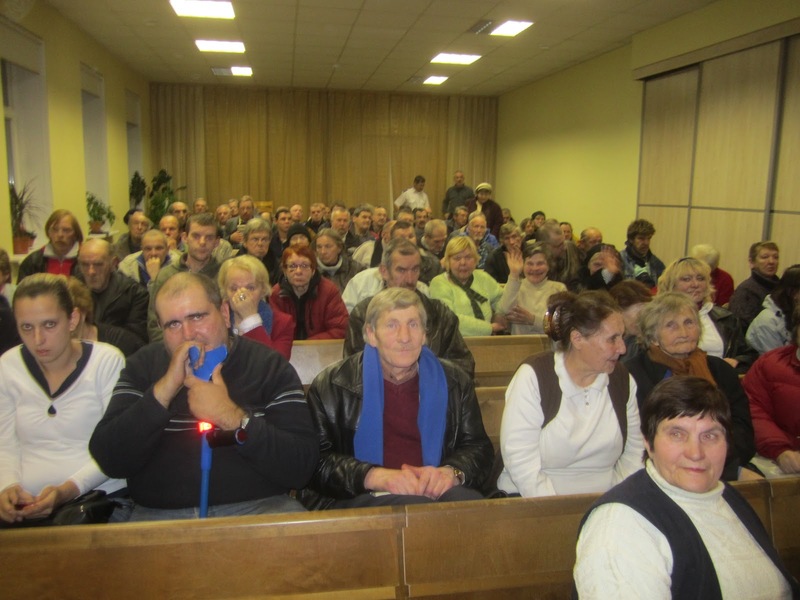 On Saturday, October 6, the international Christian organisation the Salvation Army (SA) Iecava corps with lots of guests the 20 year anniversary was celebrated. In the solemn event present was also the first leader of the Iecava corps Norwegian Ruth Hansen who now is leading the SA Bauska corps. The hall was fulfilled with musical greetings from the Bauska corps choir, tells Karīna Kozlovska, one of the SA Iecava corps leaders. Among greeters there were also former officers of the Iecava corps, as well as the leader of local municipality, workers of the Social Service and others. Heart-warming greeting was given by the SA Regional Commanders Peter and Rut, but while the small children were blowing soap bubbles, young people sung a greeting song. The participants of the celebration remembered the past. The Salvation Army officer Ruth Hansen arrived in Iecava on one sunny summer day – on August 1, 1992. Since then she had to live here, serve God and take care of people. At the beginning meetings took place in the market square, then – in the Iecava Boarding School, but already for many years the permanent residential place for Iecava corps is a house on Rigas street 23. The Salvation Army started its work in Latvia already in 1923 during the time of independent Latvia. During the soviet times it was working in secret, but then the revival started it was officially restored. It is common in the Salvation Army to have a rotation of corps leaders. In this year of anniversary since July 26 the leaders of the Iecava corps are two young women from Riga: Lieutenant Liene Lazdiņa is responsible for communication with adults and Lieutenant Karīna Kozlovska takes care of children and youth. After two-year training this summer they were commissioned as lieutenants and appointed to lead a corps. Karīna is working in Iecava on full time since August 1 because in July she was leading a children camp in Ainaži. These camps are big support for children from poor and socially marginalised families. “For them it is an opportunity to get out of the harsh daily reality and to see that there is something lighter in the world,” says Karīna. All the camps are organized for children at the age from four up to 18 years, even though sometimes whole families participate in them. In Ainaži camp there were children that saw the sea for the first time in their lives, so they all went swimming several times per day. In order for children to be interesting in camps, every time there is a topic chosen for the camp. The topic of last summer camp “Spiegu bērni” (“Spy Kids”) was especially exciting for the participants. For two years Karīna has worked as a volunteer in various SA camps in America, but already when she was a teenager she had been leading different Christian camps. The camp fee for the Salvation Army camps for poor children is covered by the donators, but mostly the money is received by the SA leadership from Sweden. In Latvia it is not easy to collect in donations the needed amount of money. 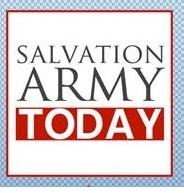 Salvation Army mainly works with socially marginalised people, which is also shown in its motto: soup, soap, salvation. One of its main tasks is to feed those who don’t really have anything to eat. 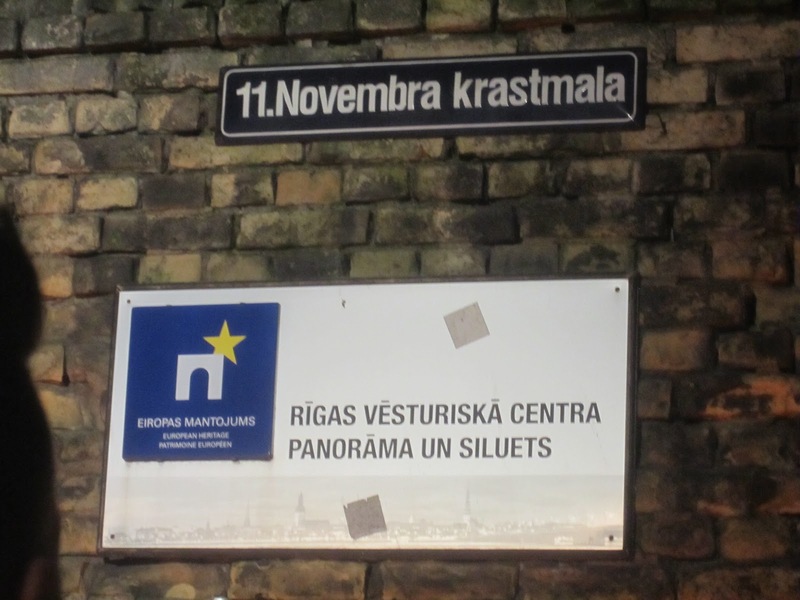 The SA has joined the Ziedot.lv project “Silta maltīte” (“Warm Meal”), where they receive goods from shop chain Rimi. Such a support will be available also next year. 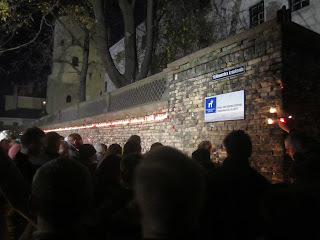 Big support to the soup kitchen is also the AS “Balticovo” which gives them eggs. Soup can be received in the first floor of the building. Some time ago only around ten people came to the soup kitchen, but now the number has increased a lot – during the winter time up to 100 people daily receive warm meal. Lūcija Muceniece has helped a lot to the soup kitchen, but the biggest suppliers of vegetables have been both Vineta and Pāvels Muduri, and Vilnis and Laima Kalderauski; significant support is provided also by the municipality. The budget for the soup kitchen for this year is 6000 LVL, from which till the September 30 have been used 59.7%. The cook of the Iecava corps Lilita Lazdiņa who works there already for many years is much appreciated there. “Practically Lilita is the main person here. She works to her full potential, and she always tries to help,” admits Karīna. Soup is made every day: three times a week everyone can come to the soup kitchen, but two days are left for people invited by workers of the Social Service. To those people who can’t come to the soup kitchen, Salvation Army workers deliver soup to their homes, even as far as to Zālīte. The SA closely cooperates with the Social Service in order to find out about the people that need the help the most. In the day care centre it possible also to wash in a shower and to use a washing machine. Also the SA in Iecava offers to learn common English for free, as well as to participate in aerobics. Once a week children (7-12 years) and youth (13+ years) take place, but every Sunday there are worship meetings. “It is not like that that everyone who comes to activities also comes to meetings,” says Karīna, emphasising that everyone can participate in activities without any liabilities. It is interesting that Karīna also is teaching Middle Age sword-fighting. In order to do that, she has received a certificate. If anyone would be interested, she can also teach first steps in self-defence. Nice event every week is a Home League when people can come together, discuss, obtain new knowledge in house-holding and do them practically, because there are people who don’t know how to do the most simple things. “Everyone is welcome to participate in these activities; we will try to help to everyone. But people can just come and unburden themselves,” says Karīna. She also invites to bring clothes to the Iecava corps that could be given to the needy. The Iecava corps of the International Christian organisation The Salvation Army together with its friends and supporters celebrated its 20th anniversary of the work. In the celebration last Saturday all previous leaders of the corps, employees that had worked there for many years, friends and benefactors participated, to the Bauskas Dzīve tells Karīna Kozlovska who, together with LIene Lazdiņa, is the leader of the Salvation Army (SA) Iecava corps since this summer. Karīna and Liene got to Iecava after graduating the SA training course and after receiving appropriate appointment. They both come from Riga, but now they will live and work in Iecava. The creator and first leader of the Iecava corps Ruth Hansen in these celebrations performed with the SA Bauska corps choir. Karīna and Liene thanked not only the previous leaders, the municipality and its social service, but also to the employees that have worked there for many years. “A big support for me and Liene is our cook Lilita Lazdiņa who works in the PA Iecava corps for many years and who knows the benefactors of the district that are ready to donate for the needy,” shares Karīna adding that people of Iecava region are responsive and helpful with food and other kind of help. It is already known that the SA Iecava corps provides the Social Service with services of a soup kitchen by daily feeding people in their premises, as well as by preparing lunch for mobile team that takes cares of people at their homes. There are different charge-free courses taking place in the SA Iecava corps, of which need it was discovered in a survey, tells Karīna. They both with Liene teach English for beginners and those with basic knowledge. Young people can participate in the children and youth club; there is an idea to organise self-defence and sword-fighting lessons that would be led by Karīna. She loves to do sports, and she has received a certificate that approves that she can teach these sports to others. On Saturdays it is possible to go to aerobics in the Iecava corps. “We have lots of ideas, the most important is that people are responsive and participate,” smiling invites the new leader. Another week. It looks like winter is on its way in Riga. The week started with a full day in different airports on our way home from the Bible Weekend in Kristiansund to Riga, over Oslo and Stockholm.We were delayed several hours already on the first flight and we had to spend a couple of hours at Oslo airport in the line, which more acted like a crowd, trying to rebook flight tickets. 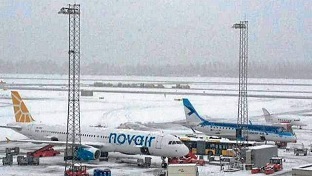 Finally we got a direct flight from Oslo to Riga after more than seven hours waiting in Oslo. Wednesday we had a "Spiritual Day" at the School for Officers Training in Riga. We shared our experience from more than three years work in Lativa with the cadets. Thursday our big flag with a metal flag pole fell down on the street. It was not more than two years ago we put it up, so it must have been something wrong with the construction of the flag pole. We are happy that no one walk on the pavement when it fell. Now you can no longer see our motto "Latvia for Christ" in the street any more. Bu we keep it alive in our hearts and the flag must soon be up again. Friday I was invited to speak about The Salvation Army work in Latvia at the international Rotary Club in Riga. 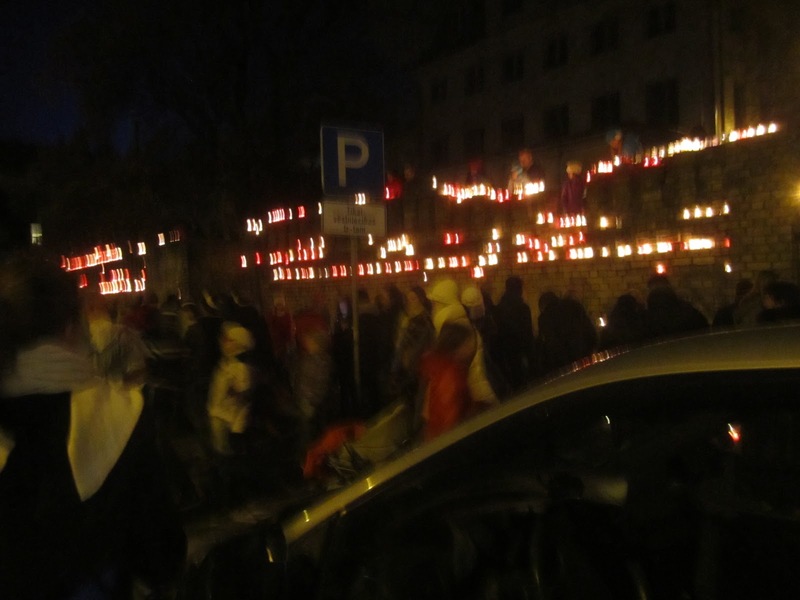 They arrange every year a "Santa´s Fun Run" in Riga. This year they are considering to support The Salvation Army. 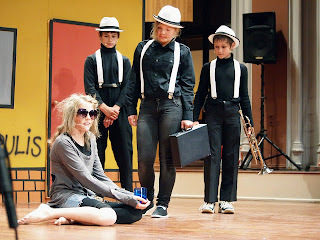 Saturday there was a second performance of our children musical "What´s up Zak?" The musical was performed the first time in our Congress in Riga last summer, and this time it took place in Bauska. A great performance by great kids from all our different corps all over Latvia. Soon time for a new week with a number of meetings in Stockholm. What is the problem with the Emerging Church Movement? Anyone who reads my blog, rupeba.se, regularly can not have failed to notice that I am not particularly enamored with what is called the Emerging Church movement. In fact it's even worse than that. 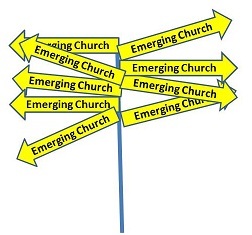 I see the preaching in the Emerging Church as a major threat to Bible-based authentic Christianity in our time. Well aware that I generalize, I would still highlight some salient features of the Emerging Church to clarify why I see it as a great danger. The Bible is not the prescriptive (authoritarian) book in the Emerging Church. The Bible is a supplemental addition equated with other viewpoints and comments in the discussions. The result is that the Christian lives in a quagmire which consists of what I think, feel and hear others say. The concepts of sin and salvation is almost non-existent in the Emerging Church. If there is no right or wrong or sin, there is no need for salvation and forgiveness, which makes Jesus' death on the cross completely meaningless. The talk about heaven and hell is mostly focused on our living conditions here on Earth. In the end, all people will be saved, some prior to their earthly death and others subsequent to death. This naturally lessens the Christian zeal to win others for Christ. The different religions can be perceived as different paths to God. I see the Emerging Church as the old liberal theology in modern garb. The intention of both liberal theology and the Emerging Church is positive. The intent is to make it easier for people to believe, and to remove or reinterpret those parts of the Bible and Christian doctrine that’s deemed offensive to modern man. The risk is obvious. In their eagerness to presents the Gospel to today’s generations they find it simplest to do so by presenting a completely different gospel than what is in the Bible, and consequently it becomes a devious heresy.